Praying with the pregnant patients. Around 7 am, the pregnant women start to line up outside the birth center. Less than 60 is a “slow day” for prenatals; if we have more appointments than usual because there was a holiday the previous week there may be over 100. Monday is intake day for new patients, we do health histories and dozens and dozens of tetanus toxoid injections. Thursday is for our outreach clinics and BCG (tuberculosis) vaccination for newborns. 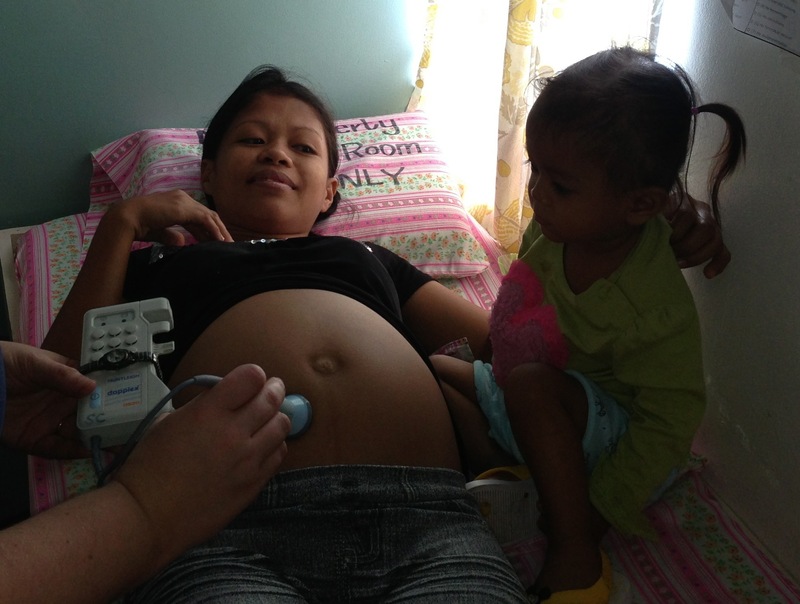 Tuesday, Wednesday, and Friday we do prenatal check ups for the hundreds of women who will give birth here each month. The women’s names are recorded in the logbook in the order they arrived and their charts are pulled from the huge filing cabinet. Our support staff and midwives gather for staff devotions and prayer at 7:45. 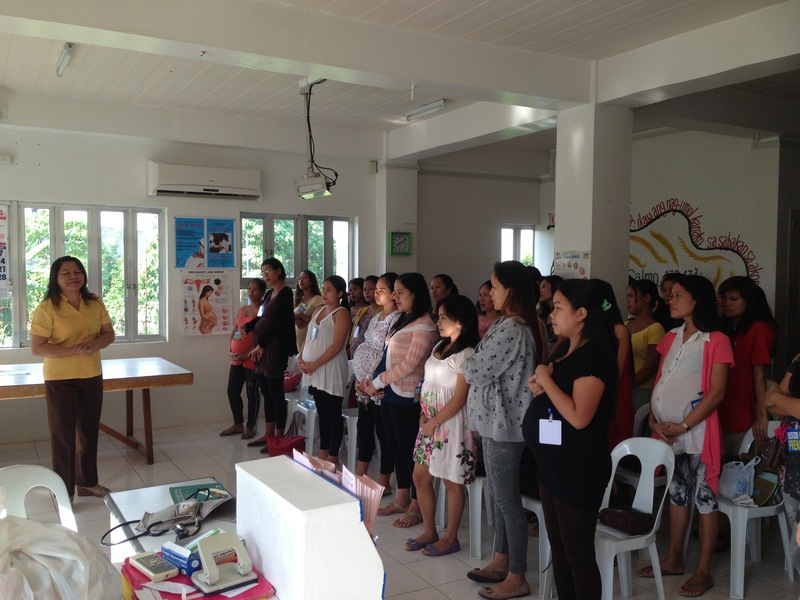 Then we all move to the prenatal room and sing a few praise songs (usually in Cebuano, sometimes English) and pray with the pregnant patients. One of the midwives then gives a health teaching for the patients – topics include labor and delivery, nutrition, family planning, fetal development, and breastfeeding. After that, the prenatal check-ups begin. Each mother is weighed, and her blood pressure and pulse are checked. We measure bellies, palpate for the position of the baby, and listen to fetal heart tones. We ask about warning signs and screen for risk factors, read lab results, teach and answer questions. And we pray with each patient individually before she goes home.